New York – The Social B. It looks like this Manhattan manager had had enough! Caught on video, a manger at a Manhattan, NY. Panera Bread is seen punching a female employee in the face and knocking her right to the ground. According to witnesses, the woman was in the middle of quitting her job just before the madness began. The manger allegedly “threw the woman out of the door” after she’d thrown bags of chips on to the floor. But the craziness didn’t end there because she comes back for more! After being kicked out the first time, she reenters the establishment where she continues to throw things around, yelling in the mangers face, and out of nowhere she just begins to swinging on him. “[The manager] legit threw her down a flight of stairs and out the front door for really no reason, she runs around to the other entrance to retaliate and that’s where the video starts. You might wanna say she hit him first, but really he had FULL CONTROL over her the entire time,” a witness tells Gawker, which was first to break the story. Yeah this man had full control alright…that is until she started slapping him around! We’re not for men hitting women, but in retrospect we also believe that as a woman you can’t just go around putting your hands on a man in a threatening manner when you so please. Plus let’s just be honest…it’s a public place, everyone is watching, and this girl is constantly making efforts to attack him, that smack to the face was just the icing on the cake, and like most people he may have blanked out for a second and just reacted. A Panera spokeswoman made an official statement confirming the attack and as a punishment both employees have been fired. Rightfully so they should have been. The young lady should have just peacefully walked away from the situation after already quitting and being thrown out anyway. She was only making a fool of herself! The gentleman could have probably saved his job if he would have just grabbed her hands to try and stop her from trying to hit him instead of stinging her a two piece and a biscuit. If this were you at your job how would have handled the situation? Your fashion should be like a barbed-wire fence…serving its purpose without obstructing the view! Detroit is known as the birthplace of many things, and it appears that the city has taken on a new interest in the industry of fashion! 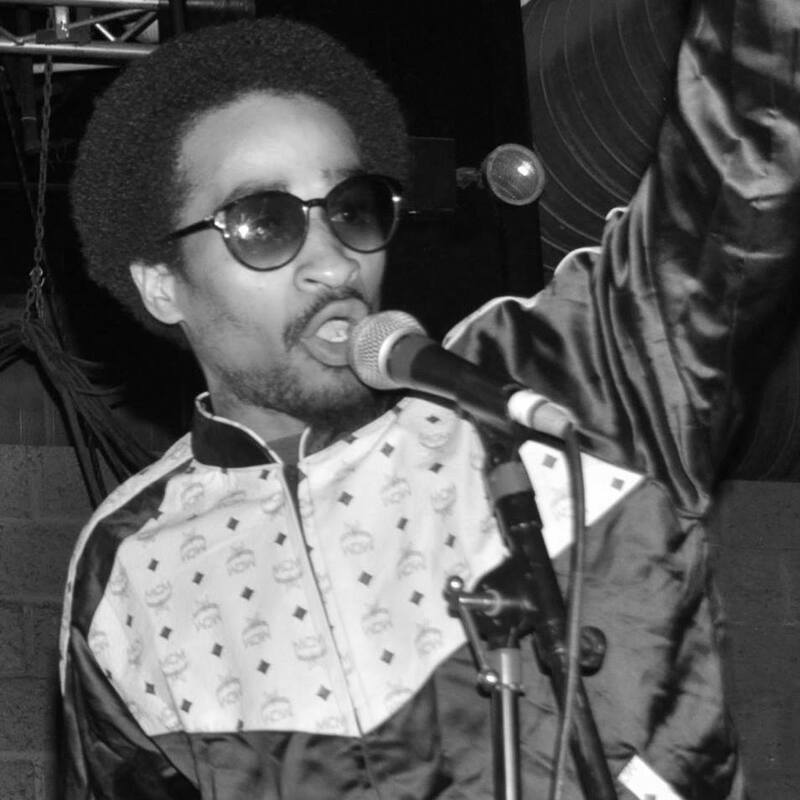 WALK was created to add to the emerging fashion industry in Detroit. Proving it self to be worthy enough to compare to New York fashion week as it sweeps the nation with it’s one of a kind shows. As their successful relationships with various modeling agencies and buyers across the company grows so does their company, making it the largest fashion show in the Midwest! This weekend I had the pleasure of hosting the Red Carpet for the WALK 11 Fashion Show at the Garden Theater in Detroit. Not only was this a wonderful experience and successful show, but the energy that radiated throughout the room was grand as well! Watching as the original designs of designers from across the world, and yes I mean the world, grace the runway was a great Saturday night treat! Celebrity designer, Stevie Boi, who has appeared on the cover of Cosmopolitan magazine and has had his shades rocked by some of the industry’s hottest artist like Madonna and Miguel, also showcased his SB Shades collection. On Wednesday, a Staten Island grand jury ended the criminal case of a New York police officer whose chokehold left an unarmed black man dead. Back in July, the fatal arrest was captured on video and seen around the world. Eric Garner, a 43-year-old father of six, was being arrested for selling unlicensed cigarettes, also known as loosies, but things went for the worst when Police stated that they had to get physical with him after he resisted arrest. 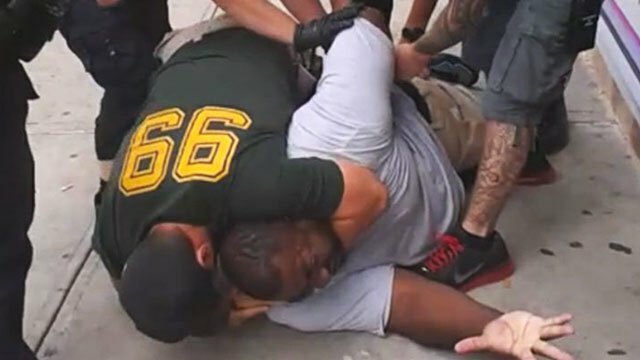 After several months of investigating and hearing from witnesses including officer Daniel Pantaleo who put Garner in the chokehold, a majority of the panel, consisting of 15 white and 8 black or hispanic jurors, deliberated for less than a day before deciding that there wasn’t enough evidence to go forward with any charges. I’m lost, why was the video not enough to convict Pantaleo? This evidence was very clear to see. Did each juror need to physically be at the scene during the time of the incident to gain every piece of evidence they needed? 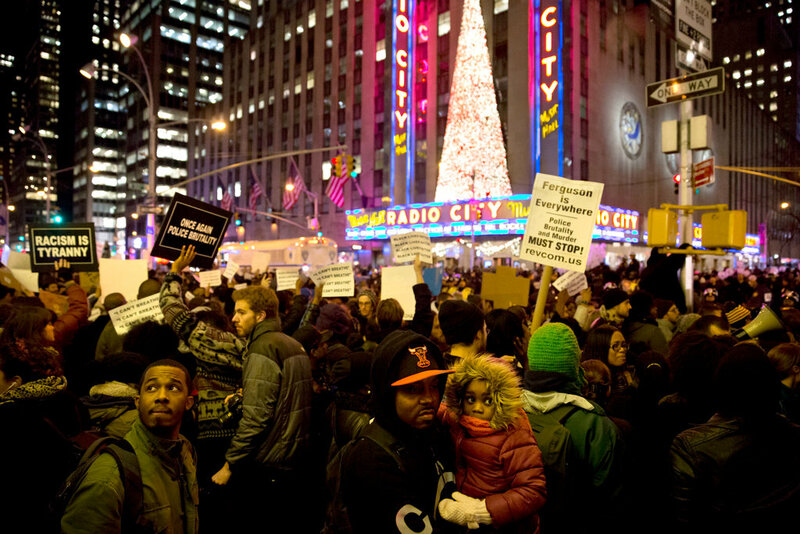 Just moments after releasing their decision New York City residents swarmed the streets of New York protesting this heart wrenching decision in Times Square. Among the many protestors were rapper J. Cole and Hollywood film producer Spike Lee, who also brought his son along to join the protest. While many protest were underway, on Twitter #CrimingWhileWhite went viral, giving us a glimpse of what life has been like for some white people even after they’ve committed a blatant crime and still live freely to tell the story! Life must be grand with the right color of skin. White Privilege is real ladies and gentleman! Something has to change! We need justice for all. Rest in peace Eric Garner, you’ve left your mark on us all. Your name won’t be in vain. 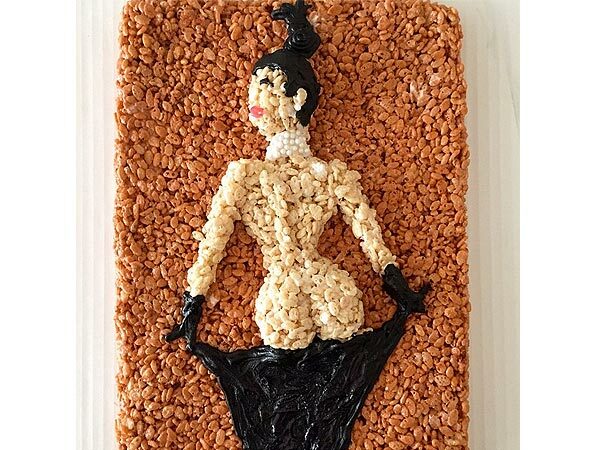 Kim Kardashian’s booty never looked so delicious! New York food artist Jessica Siskin sculpted this appetizing dessert. 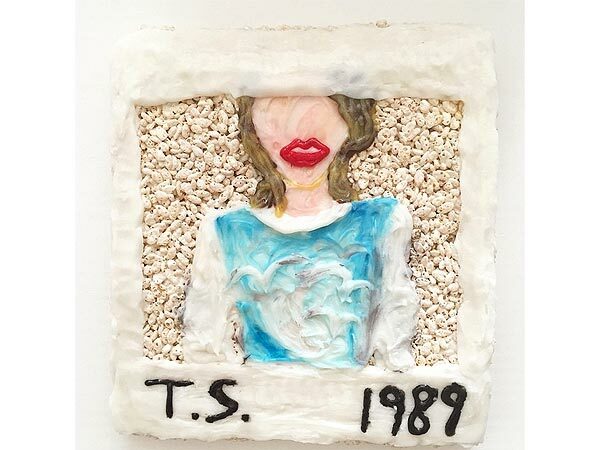 Jessica creates incredible cereal sculptures like Kim Kardashian’s Paper Magazine cover and Taylor Swifts hit album cover 1989. Is it weird that I really want to taste this rice krispie treat? The detailing of Kim’s photo was executed very well. Mouthwatering and Ingenious! “#misterkrisp loves the Internet so please don’t break it.” Awe, how sweet.